Despite an anti-harassment law that took effect four years ago this month, harassment and bullying based on sexual orientation remain persistent and pervasive in California schools. 7.5% of California’s middle and high school students, more than 200,000 students every year, are targets of harassment based on actual or perceived sexual orientation, according to a study released today by the California Safe Schools Coalition. The Safe Place to Learn study, including 26 times more respondents than any previous study on the issue, found that such widespread bullying has dangerous academic, health and safety consequences for students. The study is among the first to document that schools can take concrete steps to reduce harassment and improve student health and safety. The Safe Place to Learn study is the first comprehensive statewide analysis of harassment based on sexual orientation and gender nonconformity in California, where more than one-in-eight of the nation’s children are growing up. The report analyzes data from the California Healthy Kids Survey (CHKS), a broad-based state survey, and an independent companion survey conducted by the California Safe Schools Coalition measuring the effectiveness of school anti-harassment practices. The data were analyzed by the California Safe Schools Coalition and researchers at UC Davis’ 4-H Center for Youth Development. “Data from the CHKS show that these 200,000 students harassed on the basis of actual or perceived sexual orientation are three times more likely to miss school because they feel unsafe, more than twice as likely to be depressed, to consider suicide, or to make a plan for suicide,” said Stephen Russell, Ph.D., Director of UC Davis’ 4-H Center for Youth Development. Students harassed on the basis of actual or perceived sexual orientation are also more likely to have low grades, use drugs, smoke, drink alcohol, or be victims of violence. In addition, these students report weaker connections to peers, community, teachers and other adults—critical safety nets for any young person. The in-depth companion survey found that school campuses in California are hostile climates for lesbian, gay, bisexual and transgender (LGBT) students and gender non-conforming students. Two in every three LGBT students reported harassment based on sexual orientation, and 47% of LGBT students experienced repeated harassment. Almost half of their peers agree that their school is not safe for LGBT students. These findings are supported by the fact that 91% of all students report hearing their peers use slurs about sexual orientation and more than 40% reported hearing teachers making such negative comments or slurs. In addition, 27% of students reported being harassed because they weren’t “masculine enough” or “feminine enough,” and more than half of all students said their schools are unsafe for boys who aren’t as masculine as other boys. The Safe Place to Learn study proves the effectiveness of several specific steps schools can take including posting and enforcing anti-harassment policies that specifically include sexual orientation and gender identity, training teachers and staff to intervene when slurs are used, and supporting efforts to establish Gay Straight Alliance clubs on campus. These steps result in reducing harassment and name-calling, improving students’ feelings of safety, and strengthening their connections to community and adults. Students who know of a school policy specifically prohibiting harassment based on sexual orientation are 19% less likely to be harassed based on sexual orientation and 25% more likely to feel safe at school. Students who say their teachers step in when they hear name-calling based on sexual orientation are 35% less likely to be harassed because of sexual orientation and 9% more likely to feel safe at school. Students whose schools have Gay-Straight Alliance club are 16% less likely to be harassed because of sexual orientation and 23% more likely to feel safe at school. These steps are also connected to stronger student connections to school, community and supportive adults – crucial tools for students’ safety and healthy development. The Safe Place to Learn study’s analysis of CHKS data also found that consequences of harassment based on sexual orientation are much more severe than non-bias motivated bullying and harassment. Students who report general harassment respond in ways nearly identical to students who were not harassed at all in terms of grades, missing school, health outcomes, and risk behaviors. California is among nine states with laws against discrimination or harassment in schools based on sexual orientation or gender identity. As more and more states pass similar nondiscrimination laws, and as lawsuits, even in states without such laws, successfully challenge harassment and discrimination, schools nationwide are searching for ways to address the issue. The Safe Place to Learn report provides research-based solutions to this national epidemic and can help schools comply with local, state, and federal nondiscrimination laws. 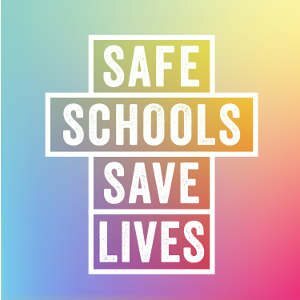 The California Safe Schools Coalition is a statewide network of experts and advocates working to implement the California Student Safety and Violence Prevention Act, which became law on January 1, 2000. Members include the American Civil Liberties Union of Southern California; Anti-Defamation League; California Teachers Association; Equality California; Gay-Straight Alliance Network; Gay, Lesbian, and Straight Education Network; Human Rights Watch; L.A. Gay & Lesbian Center; National Center for Lesbian Rights; Parents, Friends and Families of Lesbians and Gays; The Respect For All Project; San Diego LGBT Community Center; and the Transgender Law Center.